Slice the papayas in half and scoop out the seeds. Discard. 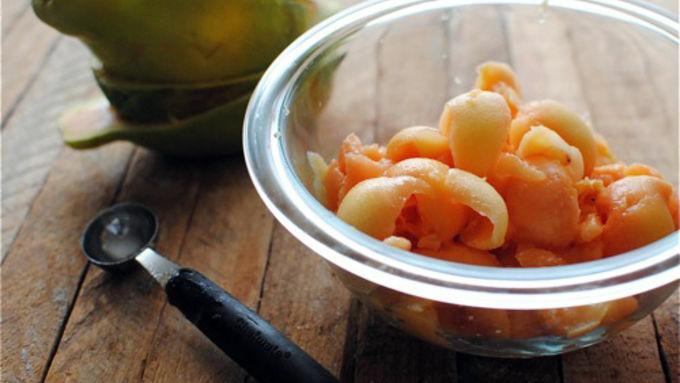 Continue to scoop out the pulp and place it in a bowl. Cover and freeze papaya for an hour. 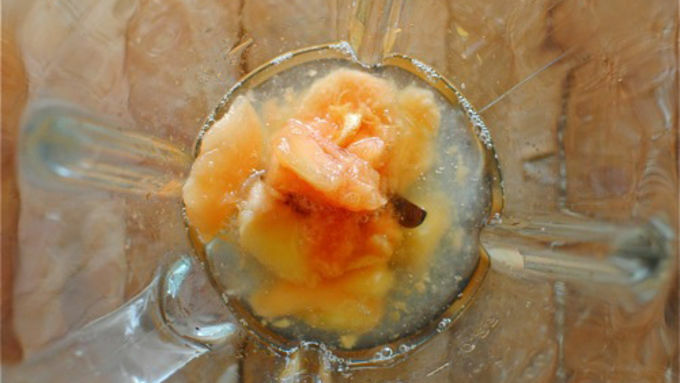 In a blender, combine the papaya with the remaining ingredients. Blend until smooth. Evenly pour into 4 martini glasses. Garnish with lime. * For the simple syrup, bring 1/2 cup of water and 1/4 cup sugar to a light boil. Once the sugar has dissolved, remove from the heat and let come to room temp, about 15 minutes. I knowwwwwwww, I know. It's January. 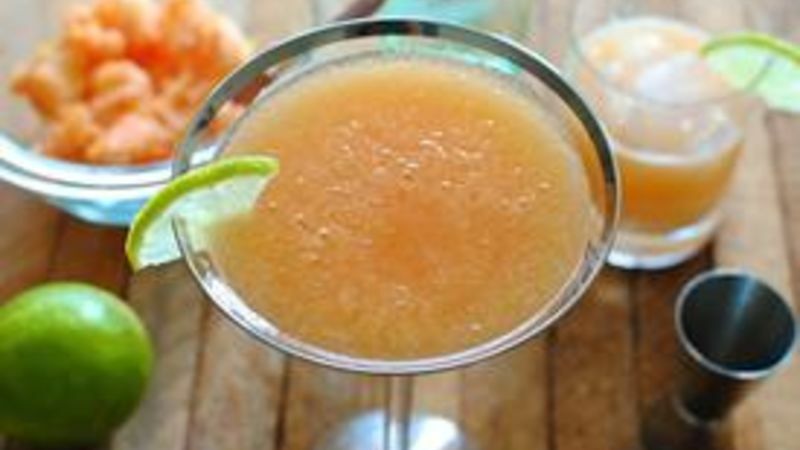 And I'm making you a frozen Papaya Daiquiri. What is UP with this weirdotron? I can explain! About this time of year, I start to get the itch for spring. Now that the holidays are under our (expanded) belts, it's all I can do not to wear tube tops, flip flops, white nail polish and belt GOOD VIBRATIONS from the very busy snow cone stand in my head. 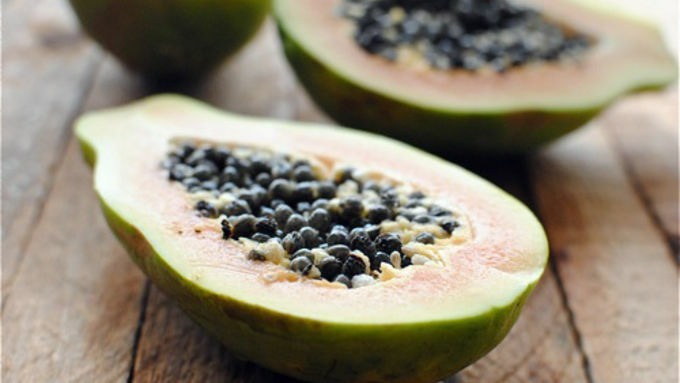 Did you know that papaya is actually really healthy? Ja! It's good for your skin, fertility, aging, wounds, digestion, etc. And with a shot of white rum in it? It ain't so bad for your soul. 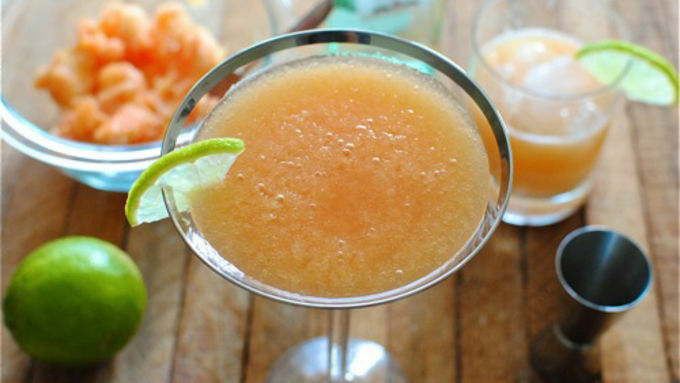 If you don't want to freeze your face off, try this drink on the rocks instead. By that I mean, once you scoop out the flesh, muddle it instead of freezing and blending. And if you need to sing Good Vibrations from the very busy snow cone stand in your head, I'll harmonize. Go! Grab two papayas. Now, I'll tell you, these are smaller than what you'll normally find. But that's okay. Leaves room for more rum. OH, WHAT?